All three have LCD screens. 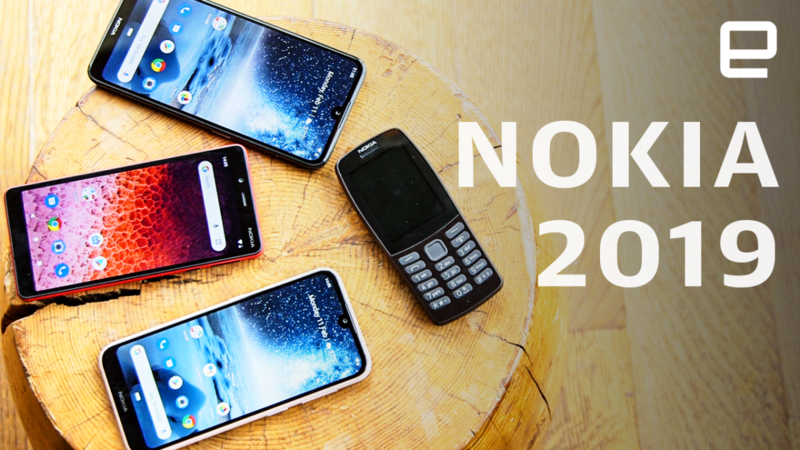 The Nokia 4.2 and the Nokia 3.2 have 19:9 aspect ratios and HD+ resolutions, with teardrop notches at the top. The Nokia 3.2 screen comes in at 6.26 inches, compared to 5.71 for the Nokia 4.2, but the 4.2 promises sharper viewing thanks to the same resolution on a smaller screen. Meanwhile the Nokia 1 Plus has a 5.45-inch screen with lower resolution. In regards to the camera set up, the Nokia 4.2 features a 13-megapixel lens with 2-megapixel lens for depth-sensing. Nokia 3.2 has a single 13-megapixel sensor and the Nokia 1 Plus has an 8-megapixel main camera. As for selfie cameras, the 4.2 has 8 MP compared to 5 MP for the others. The Nokia 4.2 has the best processor: a Qualcomm Snapdragon 439. The Nokia 3.2 features the Snapdragon 429, and the Nokia 1 Plus uses the MediaTek chip. The 4.2 and 3.2 both have considerably more memory and storage than the 1 Plus. However, all three offer expansion via a MicroSD card slot. As for battery power, the Nokia 4.2 has a 3,000 mAh battery and the Nokia 3.2 has a 4,000 mAh one. The latter does have a bigger screen to power ratio. The 1 Plus gives you a 2,500 mAh battery. Finally, all three have Micro USB ports, and 3.5 mm audio jacks to please old-fashioned users! Overall, these three phones are a welcome addition to the competitive entry level and mid-range market.